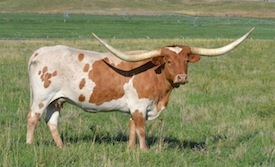 Fey Longhorns are Registered Texas Longhorns, raised in the Willamette Valley in Oregon. 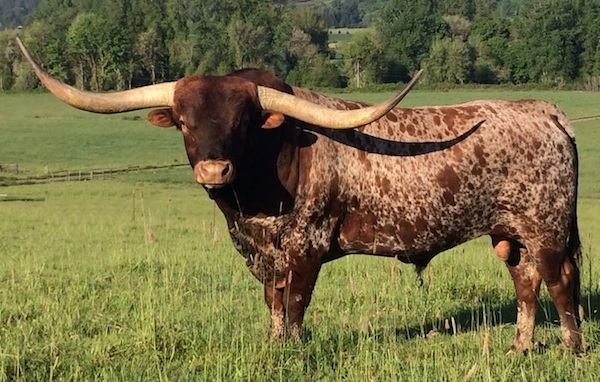 Fey Longhorns are Registered Texas Longhorns, raised in the Willamette Valley in Oregon. Our goal is to produce a superior breed of big-horned cattle with color, conformation and disposition. We offer quality animals for sale at all time and deal with fairness and integrity. We are members of TLBAA (Texas Longhorn Breeders Association of America), ITLA (International Texas Longhorn Association), TLMA (Texas Longhorn Marketing Alliance), NWLA (Northwest Longhorn Association) and CTLA (Cascade Texas Longhorn Association). Stockyards Sale. Now owned by Hudson Longhorns. Photo courtesy of CR Ranches.